YES4ALL ANKLE WEIGHTS FOR HEALTH AND FITNESS Yes4All Ankle Weights are well-known for increasing strength and balance, burning calories and fat and toning lower-body muscles. 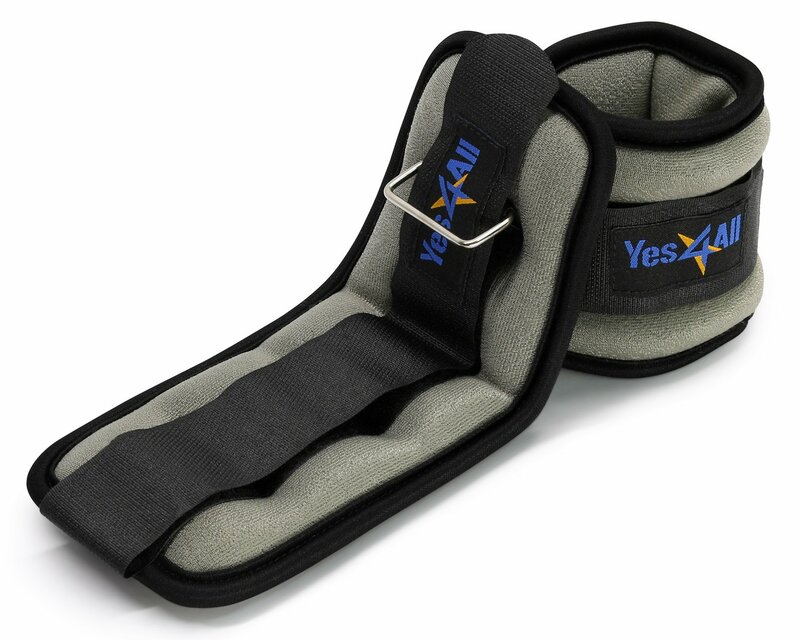 Theses ankle weights are ideally used in gyms to enhance the variety of exercises and add more resistance to trainer's workout. Ideal for at -home people who want to burn the abdominal fat and tone their body muscles. You can corporate this multifunctional tool into your daily exercises like Running, Leg lifts, Bicycle Crunches, Leg Extension, Pull-ups, Aerobic and many more. HIGHER QUALITY- BETTER PRICE Made of soft elastic neoprene fabric, Yes4All Ankle weights will bring best comfort to your skin without causing abrasion. Soft cloth material inside absorbs moisture and sweat quickly. They also come with Adjustable Velcro closure to ensure a customized fit to your ankles, thus prevent bouncing during practice. Weight set is available with 5 coded colors as you need to add more resistance to your workout. (Grey 1lb Pair (2 LBS TOTAL), Lime Green - 1.5 lbs. Pair (3 LBS TOTAL), Light Blue - 2 lbs. Pair (4 LBS TOTAL), Dark Blue - 2.5 lbs. Pair (5 LBS TOTAL), Black - 5 lbs. Pair (10LBS TOTAL) More option: Two black adjustable 3-lb Ankle Weights (6lbs total) Be careful and consult doctors if you have frequent lower-body pain during exercise.